I love getting back into writing wedding posts, I think they have been a little thin on the ground on the blog recently because I am stupidly organised for my wedding so I am at the point where there is nothing to do so finding inspiration has been hard. Wedding dress shopping was fun and I am due to pick up my dress soon which is exciting and scary that everything is coming up so fast. I got my dress from a wedding dress boutique but even though I wanted something traditional I knew I didn't want anything conventional; nothing big or thick and heavy (I won't go into too much detail in case Thom reads this!). 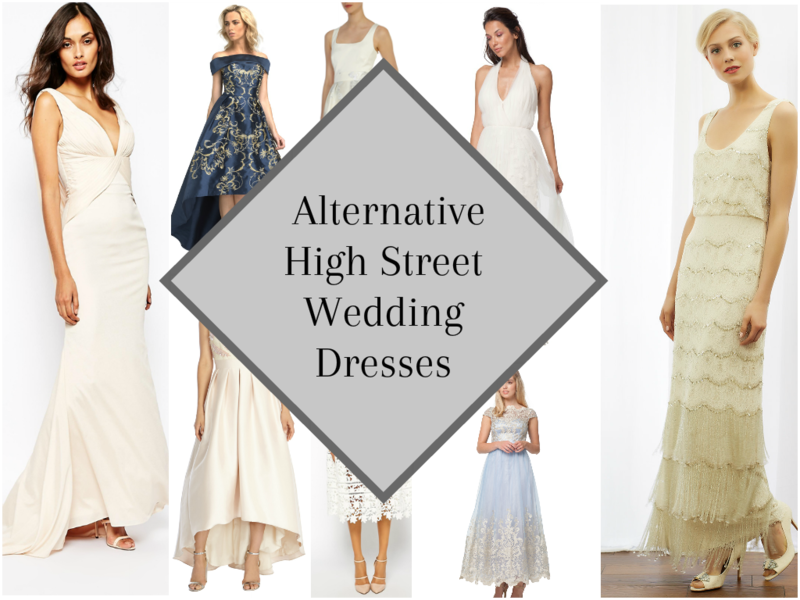 If I hadn't found my dress on that first visit I had planned to look on the high street, not just because they are usually cheaper than made to order dresses, but because I think that is a great place to find unconventional wedding dresses that are still beautiful. Here are the ones I found that really stood out to me and would look amazing at any kind of wedding. This dress is stunning, it is a great choice if you love vintage but don't love the price of some vintage wedding dresses. It is one of the more expensive dresses on this list, but it is still a saving on some handmade dresses. This flapper style is elegant without being an 'in your face' type of bride. I think this dress would be stunning for a beach wedding or somewhere the weather is nice and hot. It is flowy and simple but still looks like a wedding dress. 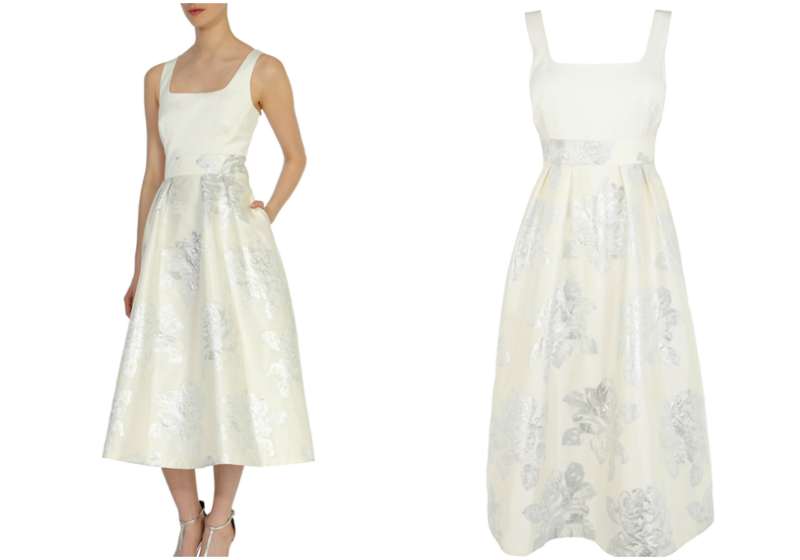 There are a few dresses on this list from Chi Chi London, their dresses are really nice quality and a good price especially if you are going to use it as a wedding dress. This is a little daring if you were to have it as a wedding dress but I think it would look fantastic and definitely turn a few heads. Self Portate dresses are expensive for just normal dresses but buy this as a wedding dress and it is a great price, I might pretend I am going to wear it for my wedding so I can justify buying it and sneak it into the wedding budget. This dress would also be ideal if you were wanting to get changed for the night time of your wedding. Who said wedding dresses had to be white? This is definitely on the extremely unconventional side but it is still a stunning dress and with a similar theme running through the wedding this would look amazing and would without doubt be a talking point. It is quite a gothic style dress and I could see this in a big castle setting. You're going to make a big impact with this dress. 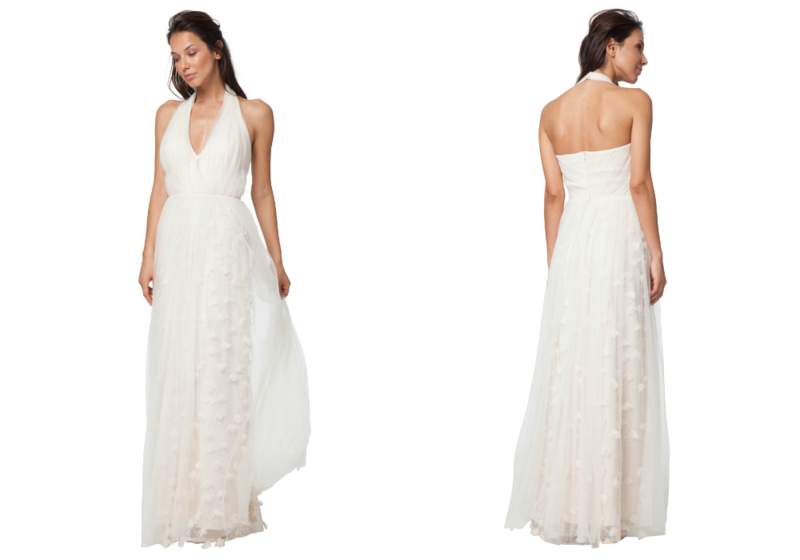 If you are looking for a very understated dress that is still beautiful, this is a perfect choice. I love the detail of the pockets, what bride wouldn't want to be able to carry around a bit of lippy for touch ups during the day? I think this a stunning example of how you can look amazing on your wedding day without having to spend £££ on a wedding dress. The back of this dress makes it look much more expensive and different. This is the only high street dress that stood out to me that actually had a train. 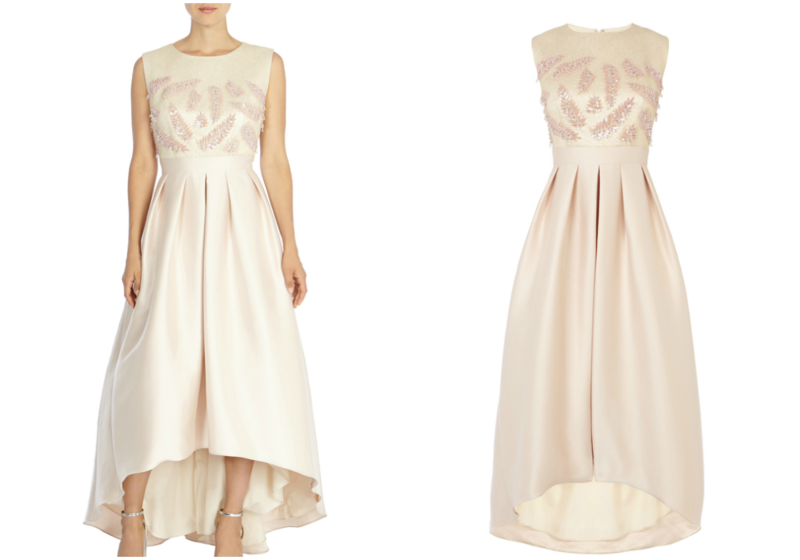 This high low blush pink dress has a gorgeous full skirt so would feel a lot more substantial than a normal party dress. I love the detailed feather on this one and the pleats at the front. Again this is not white or Ivory and a great alternative if you are trying to be a little different. I love the blue on this dress, it's subtle colour is perfect if you are not daring enough to go for a completely different colour and the lace makes it more like a classic wedding dress. The length on this dress really appeals to me as it's long enough if you don't want to show your legs but also short enough for you to wear some fabulous shoes; and who needs an excuse to buy fabulous shoes? 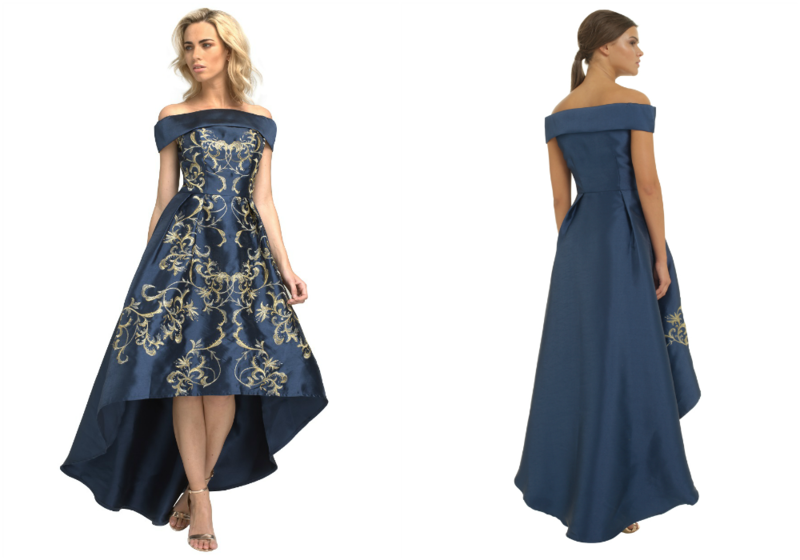 A few tips I learned when searching for these dresses were: firstly if you want something really alternative, for example a different colour or style, it is actually best to search for prom dresses rather than wedding dresses. Secondly, look on the website of high street shops you currently love and look at their occasion dresses. I hope you liked this and I would love it if you let me know which one is your favourite in the comments below. The manager suggested doing a signature cocktail during cocktail hour, which turned to be a huge hit. There is a full bar close to the entrance area, so we were covered there too. Dessert at DC wedding venues was a presentation of cookies (all looked homemade) and my favorite was the white chocolate, macadamia nut.